"Singing Melody has an incredible voice and his lyrical content is amazing." "This popular reggae artist blends R&B soulfulness into his style, adding a romantic vibe to his music and features producers Collin 'Bulby' Yorke, Lynford 'Fatta' Marshall, and Delon Reid." "Singing Melody is no doubt in a musical class of his own." "Singing Melody is showing no signs of slowing down as his love for heart warming music is now more obvious than ever before." With his career as an international reggae recording artist spanning over 20 years, Singing Melody is no doubt in a musical class of his own. 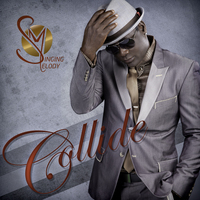 Since exploding on the local scene back in the early 90’s Melody’s sheer sophistication and diligence has earned him an illustrious portfolio of achievements ranging from chart topping singles to numerous award credits. A confident and engaging performer Melody offers up a dose of entertainment for both the eyes and ears. Behind every great man is a great story and for Melody his story began during the late 80’s when being a young, talented vocalist in a predominately dancehall arena meant working twice as hard. Opportunities were few and so when the time came to collaborate with one of Jamaica’s most renowned producers and musical mavericks the legendary King Tubby’s, Melody was ready to shine delivering his first recorded single entitled ‘Tie Me’. Singing to the hearts of women, Melody quickly became the musical charmer with a big voice and with acclaimed production duo Steelie & Cleevie calling out for a feature on one of their next track Melody proved his readiness on a reggae rendition of ‘Shower Me With Your Love’ which later became a phenomenally success. In 1990, Melody recorded ‘Sayonar a Tokyo’ on the Tachyon label for Sony Japan and the track took life and lead to his very first booking at the annual Japan Slash Concert. “I remember that show vividly, not a lot of Jamaican acts were travelling to Japan during this time and I was honored that I had this amazing opportunity to perform there. The audience was fantastic and they loved my music....” The show was indeed a success as it cemented Melody’s popularity in the Far East as well as raised his stature as a timeless and stirring international stage performer. Shortly after returning to Jamaica, Melody was offered a record deal by the international label Parish Records who ushered the release of his first LP titled ‘Original’ in 1992 with VP Records distributed the album. Still searching for that billboard single, Melody returned to the studio and several years later in 1999 he dropped his sophomore album ‘Sweeter ’ which featured the mega hit single ‘Want You Back’. 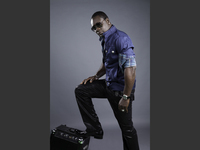 Like fire raging through jet fuel “Want You Back” resonated across reggae markets worldwide subsequently earning Melody ‘Song of the Year ’ at the Reggae Soca Music Awards, Best Male Vocalist Inter national at the 12th Annual Tamika Reggae Awards and " Best Music Video" for the Martin's Inter national Reggae and World Music Awards. The song also reached #1 and #3 respectively on the Star Top 40 and the New York Reggae Top 30, while the video was #2 on the MTV2 video playlist. Equally impressive on stage as in the studio, Melody began touring extensively throughout Europe, North American and the Caribbean during the turn of the decade. His fan based increased substantially and within months the singer was gracing the stage of prestigious events such as One Love Reggae Music Festival in Canada, Reggae Sumfest Jamaica, Bob Marley Reggae Festival in LA, Jamaica Independence Music Festival, the New York Music Festival, Reggae Sunsplash Jamaica as well as the Air Jamaica Jazz and Blues Festival. In 2002 it was the follow up hit single “Say What” that broadened Melody’s international reach this coinciding with the release of his third studio LP dubbed “Expressions” an album that is arguably his most successful to date. In the years to follow Singing Melody began dabbling in other areas of the music business, producing tracks for Morgan Heritage, Richie Stephens, Turbulance and other under his S.H.E.M Music label and later becoming an event promoter on the local circuit staging the annual “Symphony Under The Stars” Concert. 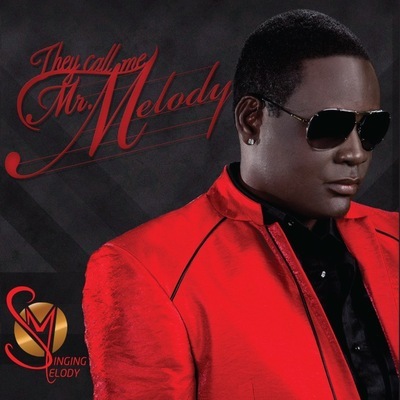 The year is now 2011 and with plans underway to release his sixth official studio album entitled “They Call Me Mr. Melody” in time for Valentines Day this February, Singing Melody is focused on reigniting the musical connection with his fan base through the release of the lead single entitled “Collide”. “On this highly anticipated album will be productions from the genius Tony “CD” Kelly, Lynford “Fatta” Mar shall, Donovan Germaine and Shady to name a few. “I named the album “They Call Me Mr. Melody” because it has been a long time since I released a solo album and this particular project reflects excellence, honesty and quality. It’s a testament of my coming of age as well as a symbol of my maturity and integrity as an artist."